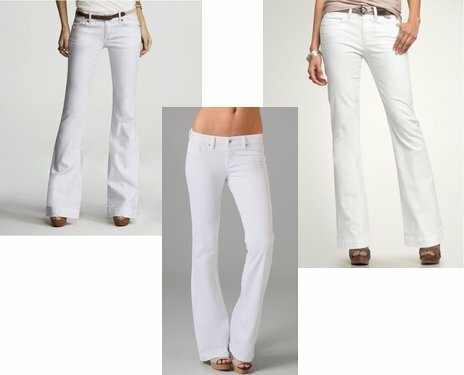 One item I'm wanting for spring/summer are a pair of crisp white jeans. I haven't decided if I want skinny or flare, but I love the crisp, clean look. Here's some celebrity inspiration (via Google image search) that I thought might convince you that you need a pair as well! Because everyone's budgets vary, I kept the denim I found for my faves this week under $100, but most are in the under $75 range. Click on any image for more information unless otherwise noted! Click here for the middle option shown. What are you craving for spring and summer? Thoughts on white denim? 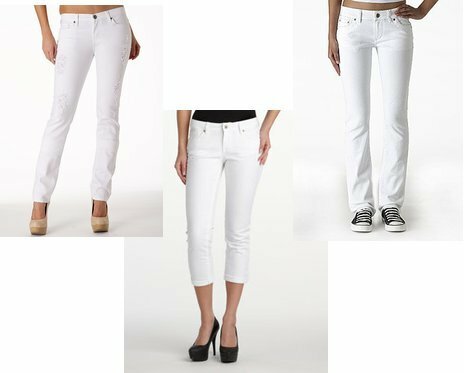 Maybe I am a total fashion faux pas- however since I live is summer weather all year round I wear white jeans and pants all the time. 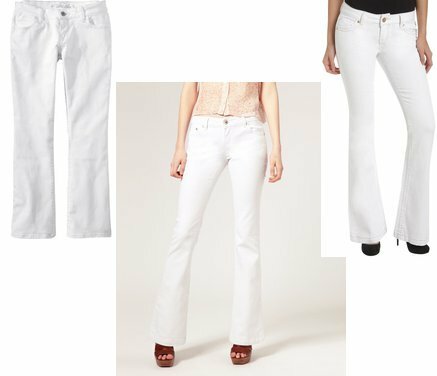 In fact i have two pairs of white jeans and two pairs of white trousers and I wear them a lot !